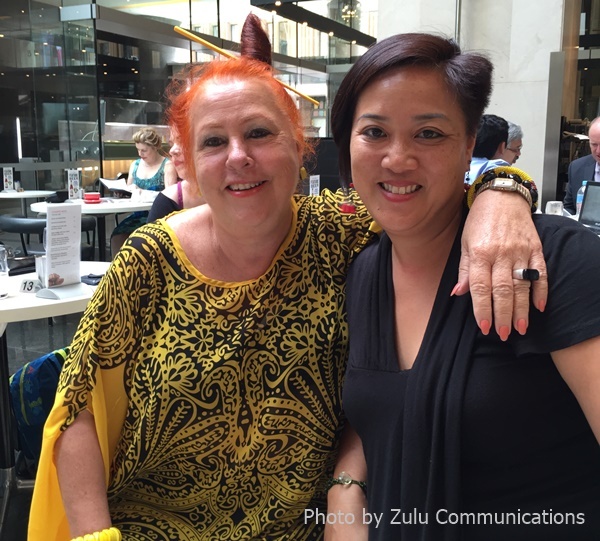 Many people have seen heard the name and seen the face of Sue Liu and Zulu at Our Big Kitchen over the last few years in relation to interesting events she has run. 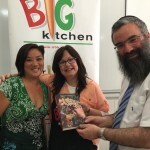 Few however would know the story of how Sue came to reconnect with Dr Dovid Rabbi and Laya Slavin and what has driven her to focus so keenly on supporting OBK by raising awareness and bringing people to the kitchen. 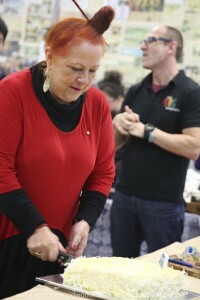 Since discovering OBK through a quirky introduction to former GM Greg Fisher (March 2013), Sue has run over a dozen events, bringing hundreds of people from her own network, contributed over $6000 to the kitchen, volunteered and supported on just as many occasions and of course, helped produce countless thousands of meals to feed our vulnerable communities. WHY? 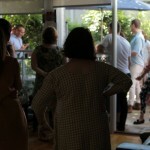 – Why has the work of OBK been so important to Sue for her to focus so much on the kitchen? How did Sue meet Rabbi and Laya Slavin so many years ago, and why is she so doggedly committed to helping communities in Sri Lanka, Cambodia and now in Sydney? 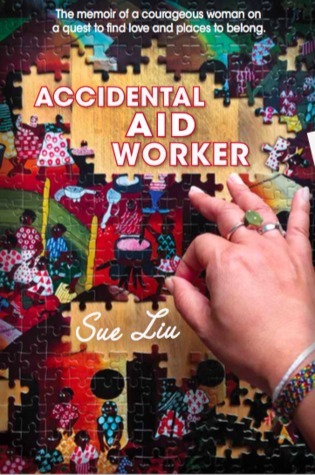 It’s a fantastic story – and it is written in the pages of her new book Accidental Aid Worker. This self published book was written with commitment in just 12 months, and Sue has brought it to life. 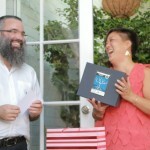 The book was launched with the help of Greg Fisher and Rabbi Slavin – who Sue has claimed as “her” Rabbi. $5 from each copy of Accidental Aid Worker purchased by OBK supporters will be donated to OBK. The donation component from candles, cards and gifts purchased can also go toward OBK if you choose. Select OBK from the list of recipients – which includes The Wayside Chapel, Lou’s Place and Gethsemane Community. Books can be collected FROM OBK! You can order books online and pay by credit card or pay cash when you see Sandy to collect from OBK (please check with Sandy by calling first). Visit the shop here at AAW or see the full range from Candles for Community. Please note – only books can be collected from OBK. All other items – candles, cards and gifts must be posted or collected. 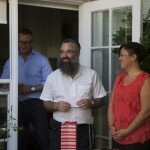 1 November – with thunderous storms predicted at the time of launch, magically they stayed away long enough for Greg Fisher (Author of Inside Out), Dr Rabbi Dovid Slavin (Our Big Kitchen), friends and Moet the cat to welcome Accidental Aid Worker to the world. Thank you to those who have championed and supported me on my relatively short and intense writing and publishing journey. It has been an enormous (ad)venture, in so many ways. It feels to me, it may just be the beginning of something amazing and new for me. Please do keep supporting me by sharing my story and encouraging others to read my story. Buying books for friends, candles and card and the like, will also help me continue to raise awareness and support people with real needs in our community. Enjoy the read, and the journey. This displays the last 3 reviews of 4 star or above for the AAW book. AAW book shower – it was a great! I’ve been remiss in reporting about the Accidental Aid Worker book shower event and 70th Birthday celebration for Geraldine Cox. In short – it was GREAT! 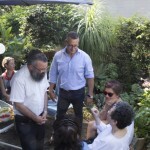 It was a BIG afternoon – with over 50 guests firstly making challah bread and other goodies before sitting down to…. well listen to me for 30 minutes (hmm, maybe more). 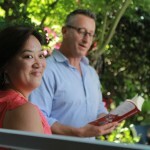 Seriously – I was able to, for the first time, introduce my story, my journey and my book to friends and supporters. Part of that presentation was reading the part of my book that answers my most frequently asked question: “How did you meet Geraldine?” I think I saw a few tears as I read out those words, I think a few of them may have been mine and Geraldine’s. 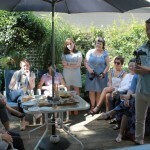 The remainder of our afternoon was a delicious afternoon tea to honour Geraldine’s 70th birthday. Thank you to Rabbi Slavin, Greg Fisher and all the staff at OBK for putting on such an amazing event and delicious afternoon tea for us. 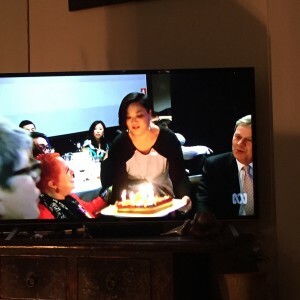 Oh – and you might see me at the beginning and my two girls later in the program. 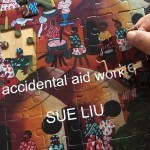 Sue is self-publishing her first book, a travel memoir called Accidental aid worker, with plans for a release date of 1 November 2015. Pre-purchasing your copy of the book will help with planning, estimating and funding the production of the first edition. The price will be guaranteed @ $35 (inc gst) – collect or add postage for $12 in Australia. 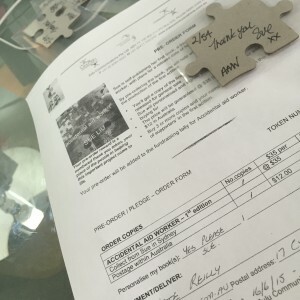 You will also receive a specially number token – your piece of the puzzle for helping to bring this book to print! There’s going to be a special gathering in Sydney on Sunday 21 June in Bondi (1-4pm) and you are invited! 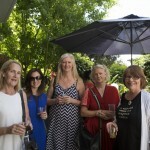 It’s a unique fundraising event and gathering called Sue’s book shower and Geraldine’s 70th Birthday afternoon tea. 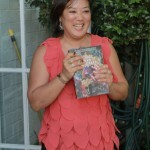 Yes – that’s right – a BOOK SHOWER – for this book!! 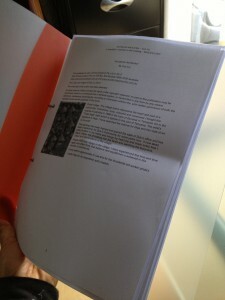 Since August last year, apart from working, I’ve been in “lockdown” writing the book, working on the publishing project. I’m really thrilled to let you know that my plans to achieve publication by the end of the year are on track. I will have to commit at least the next 6 months to make it happen, but I will. I just returned from two life-change weeks in Sri Lanka with Bruno, who I have been mentoring these last 11 years. It was an inspiring trip where he reviewed and signed off on 16 chapters of the book that pertain to our journey together – AND – we are now business partners – (STORY to come….). Bruno’s wife and business partner ( now my business partner too) Sarojini will be (visa permitting) coming out from Sri Lanka to join us at the fundraising event. YES – it’s also a celebration afternoon tea for Geraldine Cox (Sunrise Children’s Villages) who is turning 70 and who is my other guest of honour! It’s going to be an exciting and unique event – celebration of my work in communities and the people I’ve been supporting and working with/for who are central to my life and my book. Tickets are: $55 for adults and $25 for under 15 yr olds. 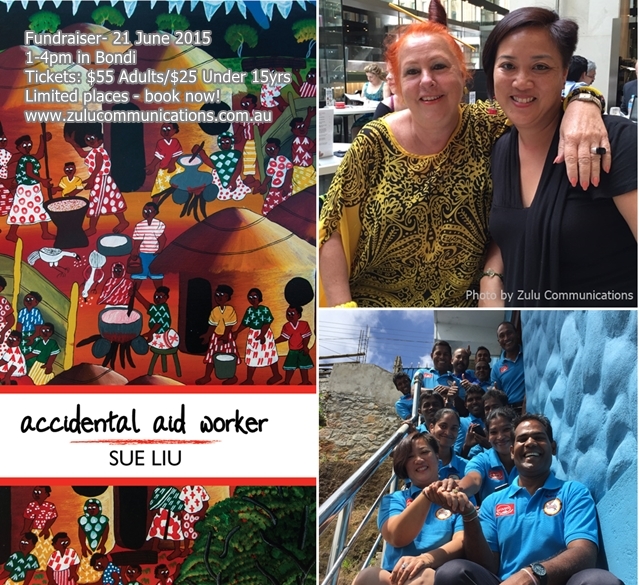 There will be a bit of cooking, raffles and lovely things to buy at Zulu’s market – with proceeds supporting OBK, my book project, Sri Lanka and Cambodian communities. I will also be announcing details about the book. I would LOVE your support – if you’re free that afternoon – please come along, bringing friends and tell people in your network who may be interested about this unique and very special event! Proceeds from the event will support Sue’s book project, Our Big Kitchen, Sunrise and Sri Lankan community projects. AAW is now on facebook! 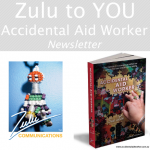 It was time to give Accidental aid worker it’s own facebook page, instead of hogging mine and Zulu’s. Time is marching on……. to SRI LANKA! I didn’t end up going to Sri Lanka in January. The timing wasn’t right and I was not where I wanted to be with the book at Christmas time, so I changed my trip to late April. Late April is now 5 weeks away. My head is swimming with all that I feel I need to do before I go – as I’m not where I want to be with the writing this book (still!). I’m putting pressure on myself to have substantial parts of existing drafts, rewritten by the time I go. Is it realistic and feasible? Well yes, it is if I selfishly claim back my time and focus. On Saturday in 5 weeks time, I’ll be sitting in a moderately priced, conveniently located hotel in Colombo recovering from my flight and contemplating a 14+ hour train ride to the cool, green hills of Haputale. I’ll be spending a week with Bruno to do some fact-checking for the book as well as giving him some business mentoring, visiting some communities, getting blessings in temples and hiking through the tea plantations. I’ll spend a further week in the south of the country on a writing retreat. Here’s a little update on where I’m at, just so you don’t think I’ve been slacking off since the last update. I’ve drafted 24 chapters out of a planned 33 chapters plus prologue and epilogue. I’m currently writing the prologue and in the process of re-editing the first 14 chapters – feeling that I need to get that right before laying down new content. Content wise – areas of my life that I wasn’t intending to write about – I have started writing about and going far deeper into my life story than I first though I would. I felt the need to include some of those events to give gravity and sense to my experiences. The book now spans 20 years, not 10! After exploring the editing process, I realise that I am not ready for it. My goal is to achieve a complete first draft by August 2015 and then see how I go. I HAVE had the pleasure of reading 4 chapters to Geraldine Cox – because she’s in them. Her reaction was “it’s all true Sue – everything you say happened. Your story and the way you’ve written it is a book that I would buy and love to read.” – Thanks Mum, I’m very encouraged by that. 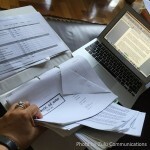 One of the most challenging aspects to this writing project is managing my energy and time. My professional work as a marketing consultant in the area of mental health and private hospitals is incredibly demanding. I work on issues such as depression, anxiety, suicide, drug and substance abuse and post traumatic stress disorders. Not light or easy work by any stretch. However – some of these issues bring a different focus and relevance to my own story which includes some of those terrible afflictions above. Switching from work mode – to writing mode is not so easy, nor is carving our precious time to focus on delving back into my history and articulating it. I will keep going though. I must, I have gone too far now to not achieve publication of this book. I will be donating $200 raised over Candles for Community 2015 Christmas campaign and will also take over some of my cute Zulu Community bags for Bruno to sell. I already donated $200 to Fr Jeevanadas and with that he bought a student a pushbike! 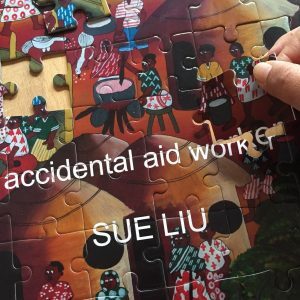 I will be having a unique fundraiser for Accidental aid worker project on 21 June in Sydney and we will also be celebrating Geraldine’s 70th Birthday. Please connect with me if you would like to know more. Forgive me people, for I have …………. seemingly dropped off the face of the planet (except on facebook) with regard to Accidental aid worker. 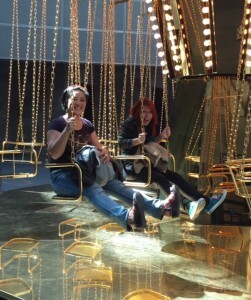 Writing Wednesday went to Melbourne, and it’s not always about writing words. 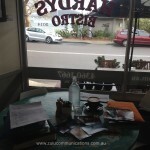 With Tracey Shelton doing some serious ‘research’ for the act of writing story. 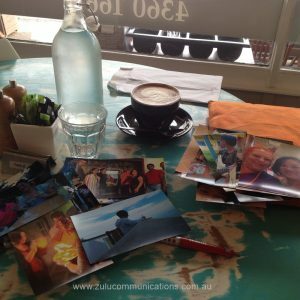 Last post – was early October after I finished some very intense writing days up in the Blue Mountains on Writing Retreat No. 2 ( at Jo’s – with kitties). I was a very momentous time-out, having to travel back in time to revisit places I haven’t been to in my mind and my soul for a very long time. And it kinda burned me out a bit. I worked out that in just under two months, I wrote 43,000 (decent) words in about 18/30 chapters, AND found my Editor. 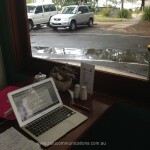 I’ve tried to do Writing Wednesday, but sometimes it was Monday (in rainy Melbourne) and some weeks I had to shift it to Friday, Saturday and Sunday (like this week) and other weeks I didn’t do it at all! I didn’t intend to take a month ‘off’ writing, but having said that it wasn’t a idle month, nor was it unproductive. It was just not a month of not progressing with the writing of this book. Cemented my agreement with my Editor (I’m excited to say those words) Shelley Kenigsburg – who is now massaging my draft words for you to read. Spent some QT (quality time) with some really important gal pals of mine, including Tracey Shelton who was home for a visit (Melbourne) from the front line in Syria. As a multimedia journalist and someone who is documenting people’s stories in the current conflict in Iraq, it was so wonderful to talk story and share views on how to ‘bring our stories to life’. For her, in news- for me, in memoir. Worked for clients (money earning) has been full-on and I’ve been delivering, delivering, delivering campaigns a plenty on that front. Decided to give my fundraising campaign Candles for Community another run this Christmas, which meant almost a complete redevelopment of my range, photography, online store, new brochure etc. That took a good 3 weeks of energy and focus. I am also finalising my plan and bookings for the big writing retreat- when I return to Sri Lanka at the end of January for a few weeks. I’ll be taking train rides all over the country and spending time with Bruno doing final research, verification and try to complete the writing phases of this project. So, for the next few weeks and particularly over Christmas and New Year, I’ll be hunkering down, trying to keep on top of all of these things AND write more – before leaving for Sri Lanka. YES – I agree, it’s all a bit full-on. But there is NO turning back now…………… this book is happening. 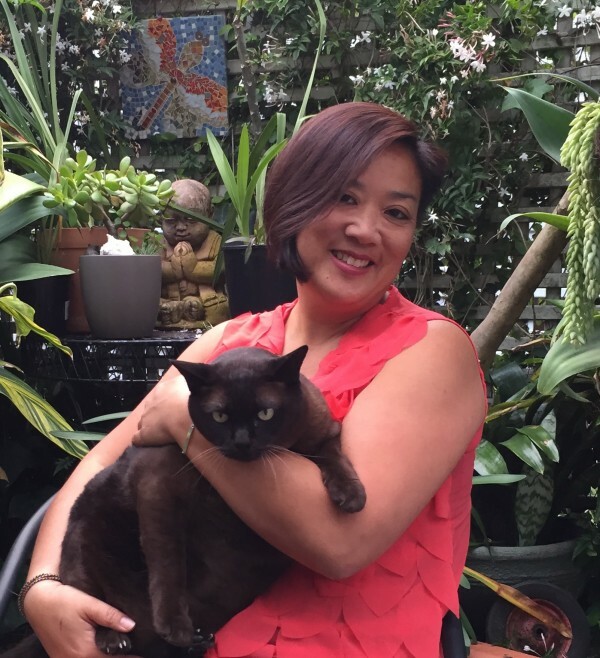 About Candles for Community – support Sri Lanka, Cambodia, and this book project! You can order online for Christmas by the way – please do! I make all the candles myself, to order to raise money that will go to Sri Lanka, Sunrise Children’s Villages in Cambodia and help fund this book. If your business has yet to organise their Christmas gifts, this is a great solution for you! Your gifts will keep on giving, with between $2 and $ 6.50 per item donated to a community or project. Orders close 15 December – have a look at the wonderful range of candles, cards and gifts and read about Campaign 2014 here! Solitude required for retreat No. 2 and …. I have an editor! It’s a post on Tuesday night this time folks because I have to work on my traditional Writing Wednesday! Boy did I need that long weekend, because I busted my brain and wrote my heart last week up in the Blue Mountains on writing retreat No. 2. I did a house and kitty swap with my friend Jo, so I traded my enormous and adorable Burmese brown boy for two delicate, aged British blue girls. I was glad of the company, the smooches and head bonking from the girls because it was a very emotional few days of writing. 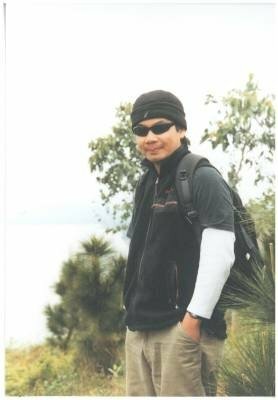 I wrote some very tricky chapters last week, relating to the death of my friend Michael Matsushita in the London Bombings of 2005. Going back to that time and dredging through the tide of emotions was so draining. It was the hardest chapter I’ve had to write and you know what? I needed to be in the mountains and alone to go there. Tis done now. Mike’s friendship, amazing life and tragic death is central to my life today. 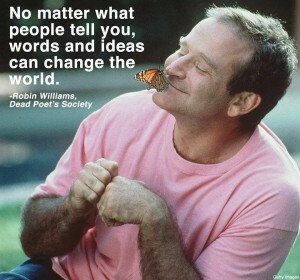 I only really realised how much through the process of delving deep and paying homage to my friend. I can’t wait to introduce him to you when the time is right. 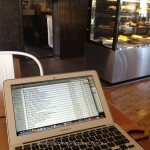 Since I have been writing in earnest – since early August, I have completed drafting 17 chapters…. that’s about 45,000 words. I’m just over half way. I still have a lot of work to do and I’m determined to stick to my deadline of June next year to publish and launch this book. And now… the drum roll……………. Shelley Kenigsberg and I shook hands virtually over Skype this afternoon. We have agreed to work together to bring this book to you. 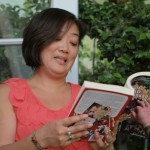 Shelley is an editor, teacher and writer and has over 20 years experience in editing. 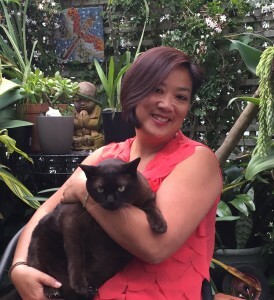 She has worked for publishers in Australia, Indonesia, South Africa and the UK. She currently lives in Bali, so I may have to factor in a trip there at some stage (any excuse). My editor (I can say that now) was actually recommended to me, and then we found we had three of four quirky connections. Being the superstitious person that I am, I took these serendipitous happenings as signs. So the work now takes another turn and I should get back to it now….Part 4 -C is waiting to be written. I skipped my usual Writing Wednesday post last week because I was eyebrow deep in …. writing! Last week I actually worked on the book and project Monday, Tuesday and Wednesday and managed to achieve huge things. Finished the drafts of Part 3 – A, B, C and D.
By the end of the week, I was kind of ‘toast’. This week – I’m on my writing retreat #2 – and heading up to the Blue Mountains. I’ll be staying at Chateau Jo and sitting on her cats, while she comes to Chateau Le Moet to do the same for me. GOOD DEAL I say! So, wish me luck this week – as I set out to tackle Parts 4 and 5 and no doubt, will be discovering some great little nooks and cafes along the way. 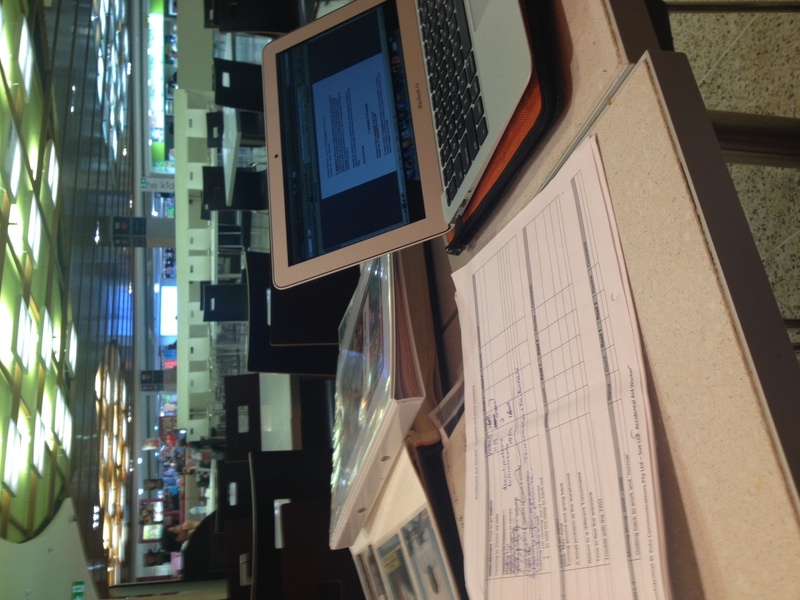 Writing in an allergic haze and considering a trip…..
Yep – I feel a bit “off centre” in allergic haze, in the food court today. 17 September – it’s Writing Wednesday again and it’s windy outside. I mention this because despite taking an antihistamine at 7am – its now 11am and I’m STILL in an allergic haze! Why is 180mg of Fexofenadine not enough to stop the snot? Is it really a 2 antihistamine day? I’m running out of tissues!!!! I’ve returned to the food court again at Leichhardt Market Place today for a few reasons. I’m trying to fit my errands in with writing. 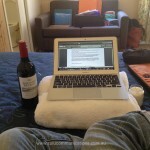 Last week – I was on a ROLL – and that felt really GREAT – and I was able to write for 2-3 additional sessions apart from the designated writing day last week I knocked out 8 CHAPTERS and sent them off for reading. I’m at a really significant section of the book, which requires me to slow down a bit and take more time, so momentum has shifted. I’ve had a massive few weeks with my client work and have been writing and producing publications for them, so I’m wondering if I’m feeling a little burned out! 1. Do you feel like writing with a foggy head and runny nose? 2. Should you be making any drastic decisions or book travel when in an allergic haze? Quite frankly, I’m not sure if I’m up to writing today or if I should force myself. 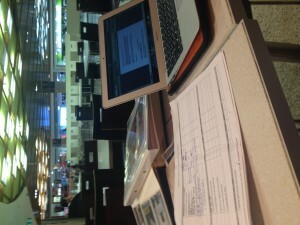 Having said that I do need to push on – I have a self imposed deadline! I’m trying to make excuse – I’m just being realistic about how much I should be forcing myself to work today given that I’m not feeling so crash hot. I’m sure I’ll get my mojo back – as soon as my drugs kick in…..and I go buy another packet of tissues. Writing in Martin Place – worked a treat! 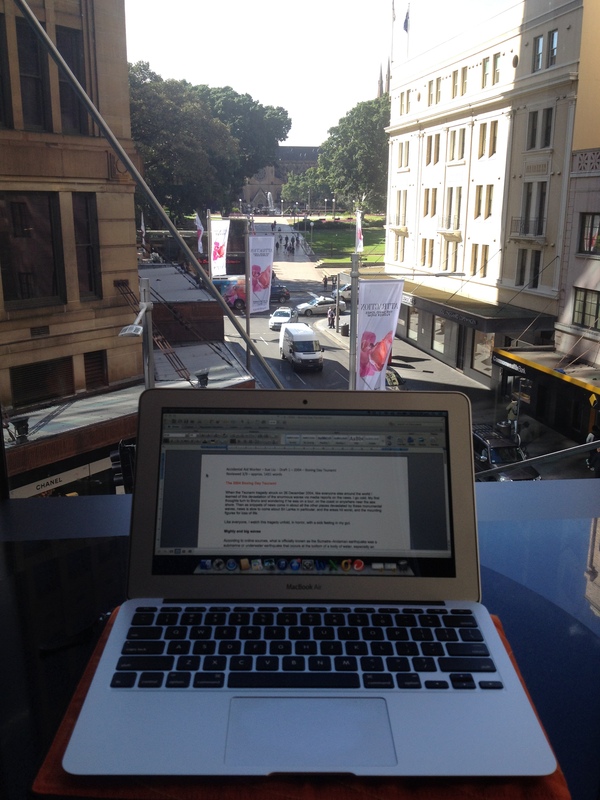 For Writing Wednesday yesterday (10 September) I decided to take myself into Sydney’s CBD and plonk myself at various locations. 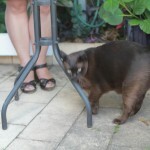 I didn’t plan where I wanted to go – I just followed my nose. That’s what travellers do. What I DID know – is that I didn’t want “cafe guilt” (feeling like I needed to feed on coffee or food in order to sit for 2-3 hours at a table). 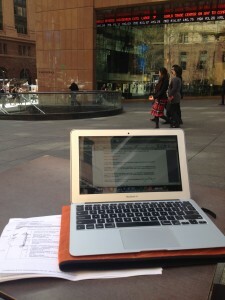 My goal therefore – was to find some free public spaces to sit and write. My other plan, was to write until I ran out of battery on my Macbook, or until 4:00pm (which ever came first) because as an incentive to stay out ALL DAY and focus on writing, I booked myself a massage in the city at 4:30pm. I started my day at 9:00am by catching a bus and was seated by 9:30am in random location No.1. To make it playful, I posted a pic like this of my location on facebook and asked my friends to guess where I was. I have to admit.. it took me til 10:00 am to get started with the writing as I was having conversations with my cousins (x2) and arranging meetings for next week…. and playing on facebook. Once I got through those distractions though, I wrote for 2 hours straight – without breathing. I completed editing part 1-B of my book. To find the next location, I just walked randomly through the city, thinking about public spaces. I got as far as random location no.2 and decided – sitting in the great outdoors for a few hours would be just what I wanted. Donde esta Sue B-Doobie en escriba Mercoles? I posted this photo and cryptic message on facebook (in a mix of broken Spanish and French for laughs) and set a goal for myself – to complete the edit of C,D and E – which would finish off PART 1. I absolutely LOVED working in Martin Place! And I’m going to come back to the CBD in future to hunt for more writing spots like this! I’m finding this a BRILLIANT way to work! Standby for more mystery locations! So, I will be starting Part 2 editing of drafts – only 25 chapters to go! Will I make my deadline of end of October????? PS: If you’d like to keep up to date with my blog – please subscribe to it. I will still post these links on facebook, linkedIn and twitter. Thanks for reading! 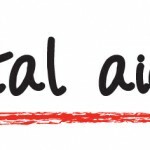 Getting to the essence of the story of Accidental aid worker – it’s ALL about Sri Lanka. Well my first writing retreat, I consider was a success and I can’t wait to do it again. Getting away from the every day and into a different environment allowed me to really focus on not only the process of writing, but the bigger picture of the structure and the story that I have to tell. My problem is ( well, one of them) is that I have had a very quirky ( interesting) time in my life, stuff happens all the time and I have too much to tell. There are so many stories realistically to loop, curve and weave – it’s actually 3-4 books – NOT just this one. That was my epiphany on day 3 of 4, when I found myself overwhelmed by the enormous task I had set myself, and my ability to focus on writing stymied. 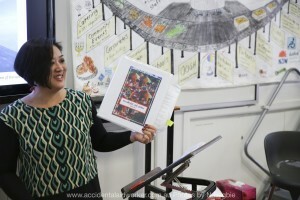 The scope of the story had blown out and the story outline I had written – covering almost everything in my life for the past 10 years, not all of it related to Accidental aid worker and my time in Sri Lanka. So I’m clear now about moving forward, and I AM! 1.Gaining clarity on the story I want to tell in THIS book. Now that I have that – I’m approaching the writing in a more focused way. 3. Finding a writing MENTOR! By a stroke of serendipity, I reconnected with someone (who happens to live up on the CC). We met, and after a long conversation, she help set me back on track and she is the perfect person to support me in this writing process. 4. 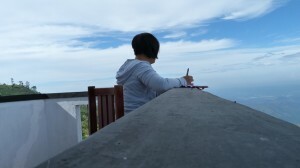 Planning and booking the next retreat at the end of September in the Blue Mountains. Day 2: Pearl Beach , probably best on a rainy week day where you can sit for a few hours guilt-free. Day 3: Hardy’s Bay Bistro – delightful little getaway spot. Day 4: Coast Cafe at Ettalong – delish french toast with ricotta, maple, strawberry and pistachio ( and crispy bacon). Probably put me into a diabetic coma. And what you see on screen are my chapters so far. Right – I have a busy week ahead with my “mum” Geraldine Cox in town and me playing taxi (I mean “daughter”) …………… and work of course. The night was dark and stormy……………… ok, that one has been used a million times. This week – it has been torrential and for me, a great week to hunker down, stay indoors and work on the online side of my business with some much needed updates to my business and community website (Zulu Communications). And it’s Writing Wednesday again – how quickly that has come around. I am happy to report that last week’s adventure to Ikea was a good idea, but not as “productive” with the writing of the book as I had hoped. I did get a lot out of the experience though and will definitely do it again. It was an important time to sit with those heavy feelings and reflect on how delving into my mind and soul is going to affect me. It served as a warning for the week to come. Actually, I AM writing. A lot! I’m writing blog posts here and also a lot for Zulu, so the art is being practiced. Progress on this project is at a different pace. I have to accept that. Today – Writing Wednesday, I am planning and structuring what to focus on during my 4ish days away on my writing retreat next week. So this week’s task is to make sure I have what I need (physically) and have my mind and spirit clear, calm and focused to make sure I make the most of the dedicated 4 day block ahead. Avoid connecting to wifi…………. probably the biggest challenge. Wish me some sunshine and inspiration for the writing retreat ! Whilst I was in the shower just a moment ago (7:50am) I decided that my writing place this Writing Wednesday shall be Ikea. 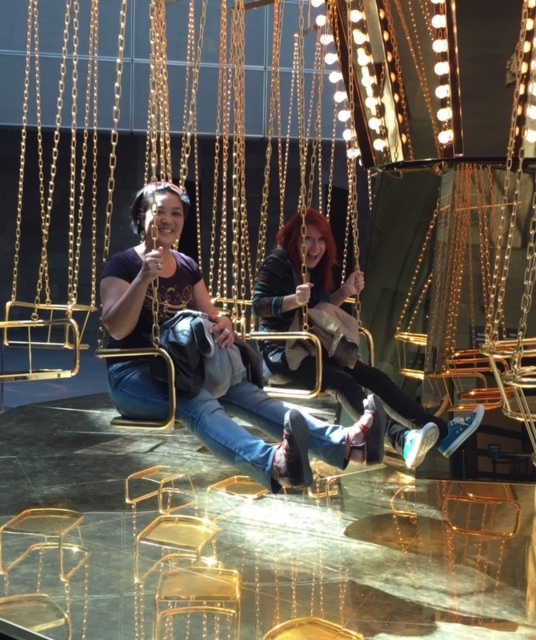 So, while I’m waiting for my laptop to recharge, and for the store to actually open, I thought I would write a pre-Writing Wednesday post, about why I THINK Ikea may be the perfect place for me today. Just 24hrs ago I was working here at my desk, trying to focus on actual paid work issues to take my mind off what I have been calling my ‘Cancerian-midcycle-supermoon-isolated-insecure-paranoid’ wobble. It wasn’t until after midday that I logged onto facebook and saw the tragic news that Robin Williams had taken his own life. And, the words DEPRESSION plastered all over my wall. Coincidentally, I’m currently studying and supporting that depression, PTSD topic and space for work. I am also considering how express my own experiences about it – and keep myself OK ( if you know what I mean). I touched on that last week, the need to keep myself safe while delving and writing my story. I am single and self employed….. I can’t really afford to take myself off the grid for a long time again. Realistically, I don’t have an adequately robust support network IF I start to not deal well. This is reality. I have to self monitor and self care. 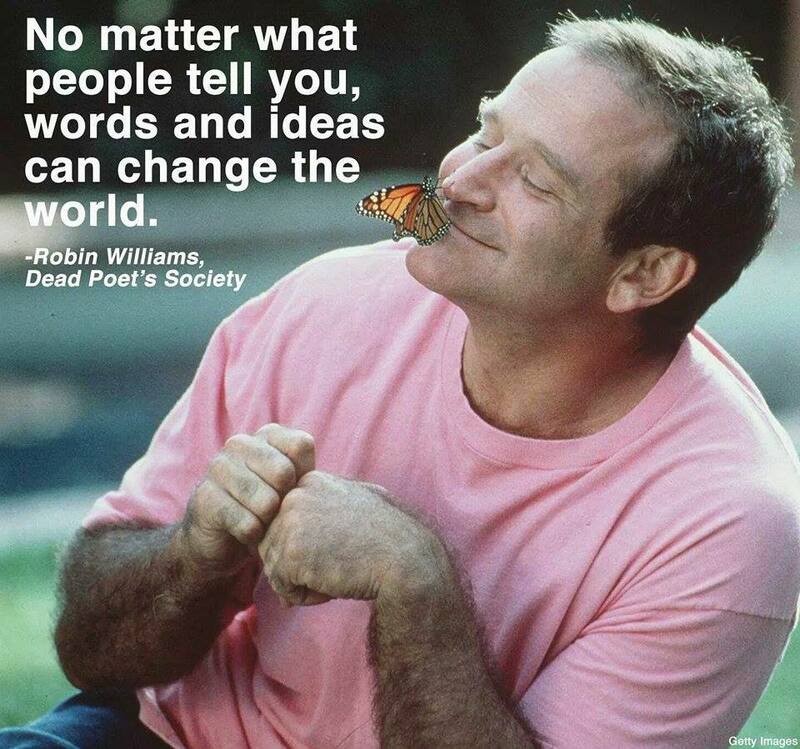 So this morning, after observing and reflecting on the tragic loss of one of our most inspired, creative artists, I see that Robin’s act of taking his own life in the midst of seeking help with is condition, is raising awareness of the fact that 1 in 3 of us – go through this. Understandably, this is a very frightening thing for those who feel that people with depression who talk about it are CRAZY, wonder how close to home these symptoms are and don’t know how to (or do not want to) GO there with themselves or to support others. It’s a difficult space. This topic makes people uneasy, nervous and the resulting alienation can kind of make it WORSE for you as people cut themselves off from you. My three biggest supporters, are friends who by suffering it, and taking different paths to cope through it, can relate with compassion and patience and without shame or fear. Many, many, most others, are busy, over it, and just can not. It does leave you in a lonely place. 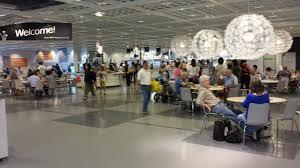 This is my topic for writing today – which leads me to the point of choosing Ikea. TODAY – on this particular Writing Wednesday – I need to not be isolated and on my own. I need to be among a buzz and vibe. THAT is what is going to keep me safe today. People – who don’t need, want me or care WHAT I’m doing….. but are just there. PS: Dear Ikea, Please don’t send someone to hunt me down and kick me out – I’m writing a book. I will have lunch and I’ll probably buy some stuff. Besides, the sign says WELCOME! Intense writing with a Korean painter by my side…..
Today is designated writing Wednesday day and it’s the second one I’ve actually achieved in the last 4 weeks (yay). I thought today that I would start typing some of the entries from the last few years from numerous journals that I have kept, to touch base with who I have been over the last 3 years. It’s a journey back into some very dark times – my journey through burn out and depression. I have to say – it’s interesting to read those intimate thoughts through my most anxious times. Honestly – its full of things that I don’t know if it’s safe or relevant to bare to all. HOWEVER – it’s giving me an insight into my former self – the former self who was (and still is) dealing with grief, guilt, fear and trauma. My challenge is – to reflect on that time and not allow myself to get sucked back into a depressive vortex, and know – that I HAVE changed – and that person isn’t me today. And, this is the challenge largely for this book and any writing that I do that is going to explore aspects of my very complex (and adventurous) life. How do I keep myself safe in the process? Is this of interest or relevance to you or potential readers? Well it will come into play in this memoir, and also lead on to other books I have planned. My story is a BIG ONE and I feel very passionately about talking about issues like burnout, midlife crisis and transformation, loss, grief, depression and isolation. This is me – introducing you to that dimension of my story. 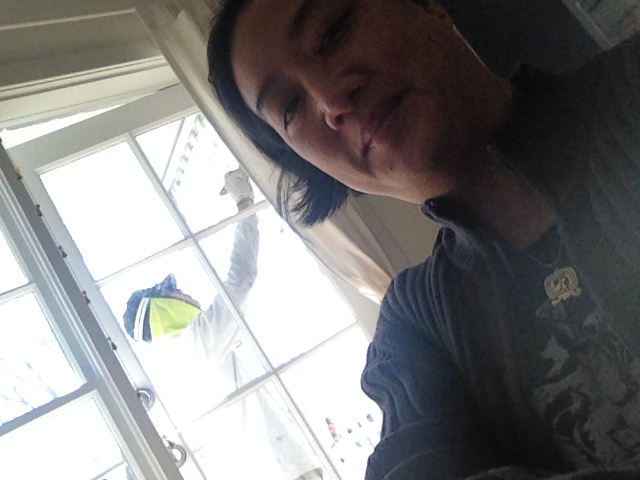 AND – I do this intense writing thing right now at my desk, with a Korean man painting my balcony…… you have to laugh!